I know this is a little delayed, but Happy New Year!! I hope you all had a lovely Christmas and an excellent New Years! I had a wonderful time in France – we spent Christmas with my mum’s family and then I went up to Paris to see a friend for New Years. So far 2012 seems to be going by just as quickly as 2011 – we’re already a week in! How did that happen? 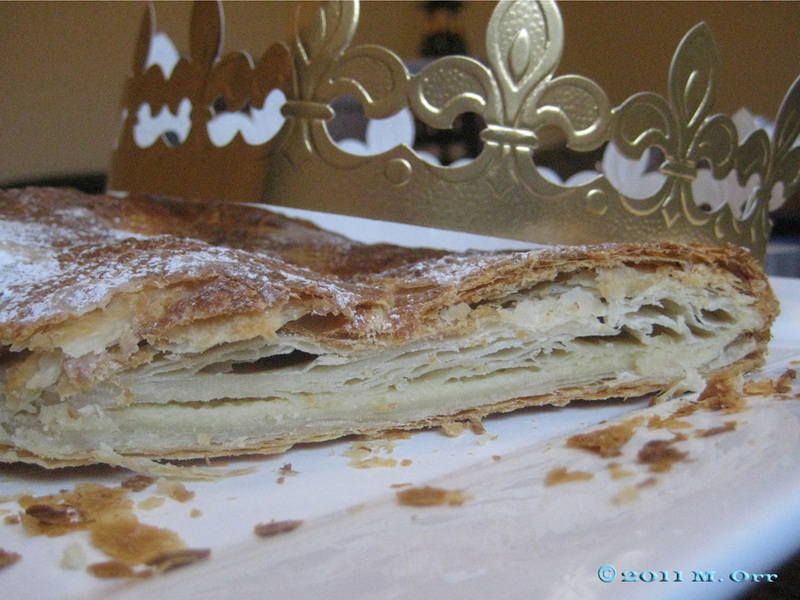 Yesterday was the 6th of January, which means that Christmas is now well and truly over, but it also means that nearly all of France tucked into a galette des rois to celebrate the Epiphany. 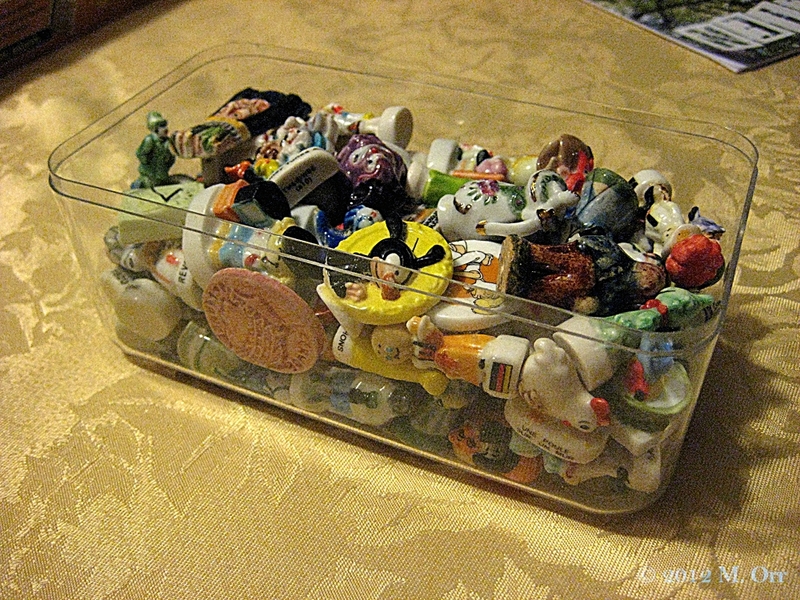 Nearly all of France, and probably quite a lot of the French expats scattered across the world, too. My mum and I were no different. Considering the name of my blog, I highly doubt that there could be a fève more perfect for me, wouldn’t you agree? I totally love it (in case you hadn’t guessed)! Now it’s all very well having a brilliant fève, but you need a galette to bake it in. This year, I decided to make a version from Franche-Comté, the region that I’m from. It’s incredibly simple to make and uses a pastry called “goumeau” (which despite my best efforts, I cannot find a translation for), which is made in a similar way to choux pastry, but comes out denser. That said, it doesn’t feel super heavy when eaten. 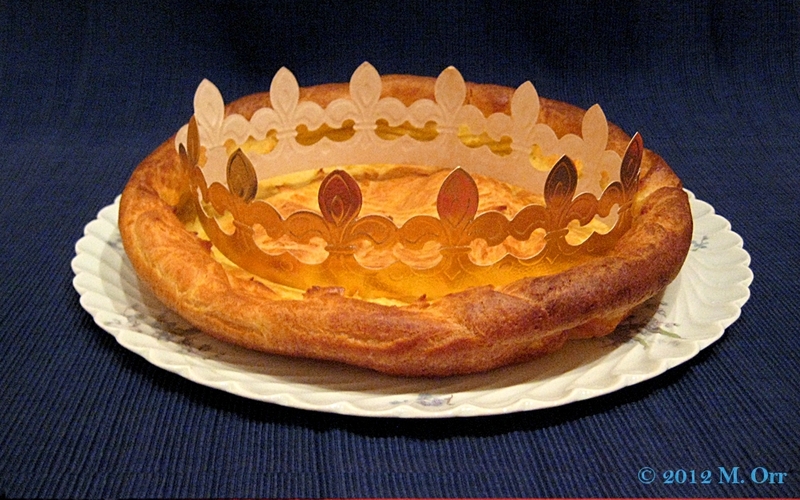 You may have guessed from the title that I didn’t get the fève this year – my mum did – but since you can do galettes des rois for the whole of January, perhaps I’ll win the crown back (you know, with the countless galettes des rois that we have access to here…). This galette Franc-Comtoise is also called “tarte au goumeau” and isn’t restricted to the Epiphany – it just doesn’t have the little porcelain fève in it the rest of the year. When doing an internship in South Africa a few years ago my fellow interns requested that I make these galettes Franc-Comtoises several times a week (without the fève) to take out on the boats, because they travel really well (just slice them and wrap them in foil) and make excellent snacks. Despite the limited cooking equipment and complete lack of scales or measuring cups, they still came out perfectly every time, so they really are super easy to make and the ingredients don’t have to be super precise! They’re also pretty quick to make and use ingredients that are generally readily available, except perhaps orange blossom water, but this can be substituted with orange, lemon or vanilla extract. 1. Butter a 30cm cake tin. Pre-heat the oven to 180°C. 2. Add the milk, butter, sugar, orange blossom water and salt to a large saucepan and bring to the boil on a low heat. Immediately add all of the flour and stir until the mixture comes together into a ball which detaches from the saucepan (I usually use a spatula as it’s easier to get all of the mixture out of the saucepan later on). 3. Remove the saucepan from the heat, and stir in the eggs one at a time (the mixture will turn into a bit of a gloopy mess each time you add an egg, but it will come together). 4. 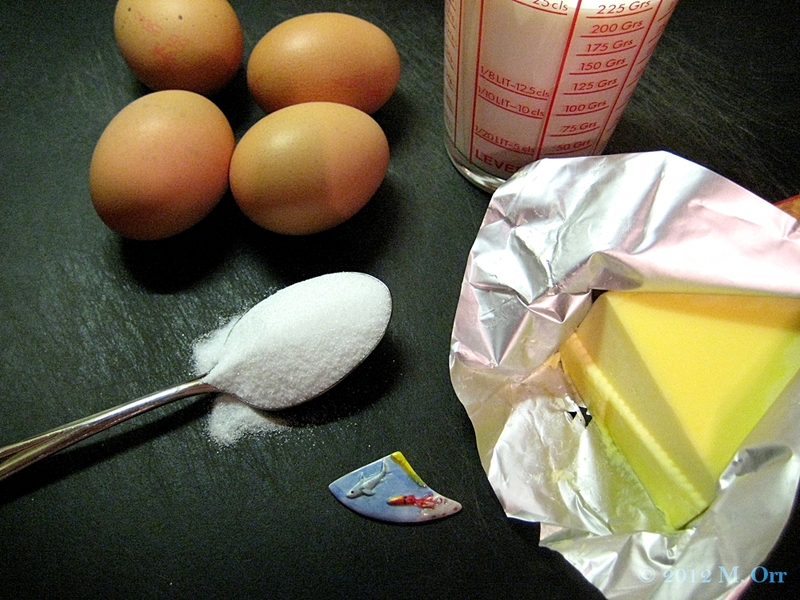 Transfer the mixture into the cake tin and evenly spread it right to the edges. If using a fève, insert it into the mixture, and smooth the mixture over it so that it isn’t visible (add it near the outer edge to minimise the likelihood of slicing the galette over the fève). Draw a pattern over the top with the prongs of a fork. 5. Bake for 20-25 mins or until golden (the galette will puff up a lot in the middle, but this will fall when removed from the oven). Transfer to a wire rack to cool before serving. 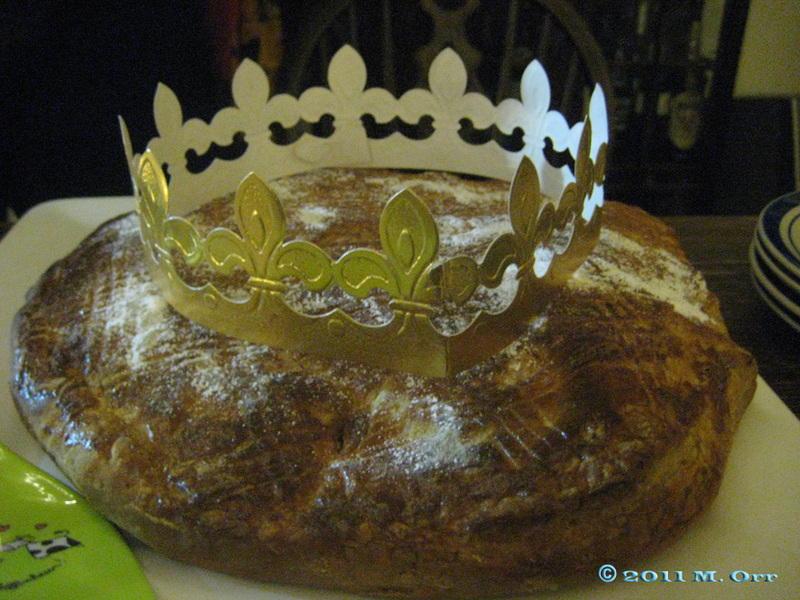 To celebrate the Epiphany (when the Three Kings visited baby Jesus) in France we make a galette des rois, or “Kings’ cake.” Hidden in the cake, there is a fève (a small porcelain figurine), and whoever gets it in their slice is crowned King or Queen for the day – this is known as the “drawing of the Kings.” The Epiphany is the 6th of January, but you can get galettes des rois throughout January. 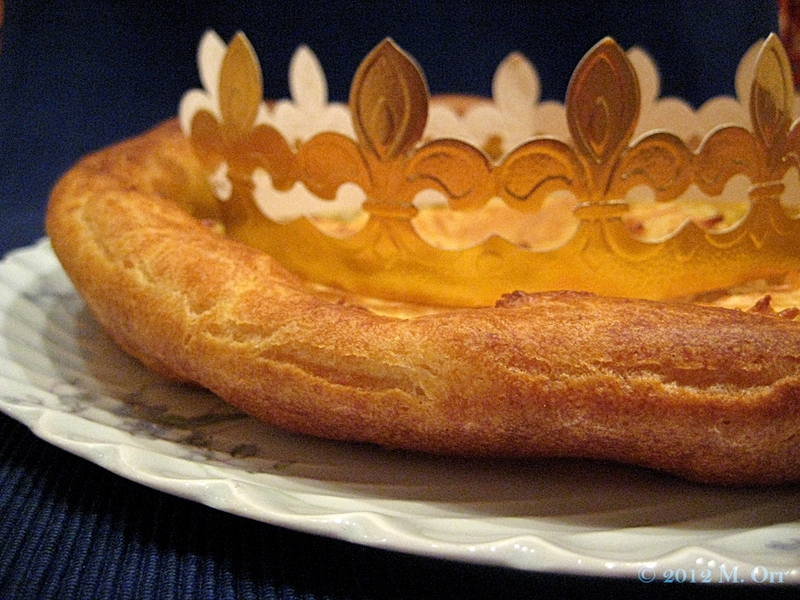 There are countless different types of galettes des rois – most regions have their own speciality versions (as with everything in France). The best-known type of galette is probably the one made with frangipane and puff pastry, which I made this year for the first time (I usually make one of my regional versions, which is choux pastry-based). In an attempt to make the drawing of the Kings as random as possible, the responsibility of assigning slices to people rests with the youngest person present. I remember agonising over which slice I thought was most likely to contain the fève so that I could pick that one and be Queen. I was usually wrong though. To ensure the least amount of bias possible, some families make the youngest person sit under the table (so that they can’t see the galette) and yell out people’s names as slices are cut. Recipe slightly adapted from La Popote des potes. If you’re a big frangipane fan, the quantity can be doubled for an even more creamy filling. I cheated a little and used ready-made puff pastry (I just didn’t have the time to faff around and make it myself) – for this recipe, it’s easier to get block pastry rather than ready-rolled as it has to be split. Of course, you can make galettes all year round – just leave out the fève! 1. 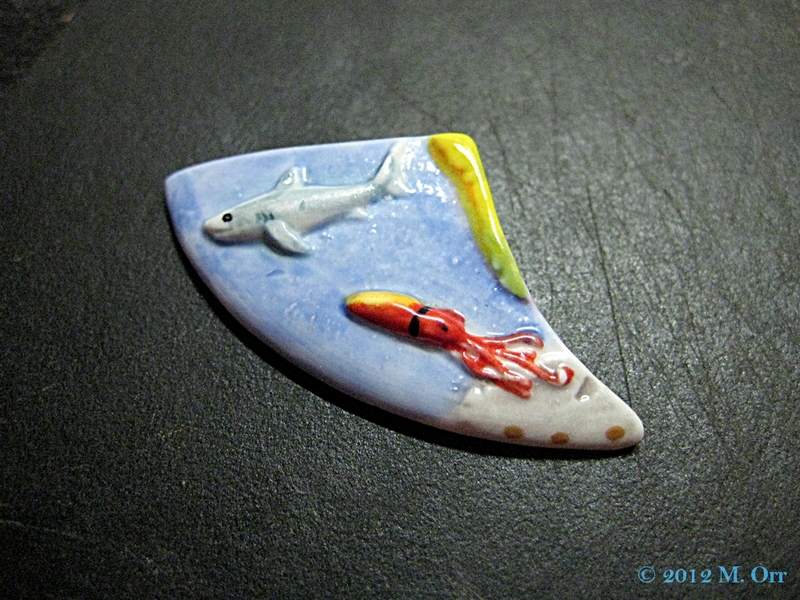 Preheat the oven to 180°C. Line a baking tray with a sheet of baking paper. 2. To make the frangipane, melt the butter in a small saucepan and transfer to a mixing bowl. Add the caster sugar and whisk to get a frothy mixture. 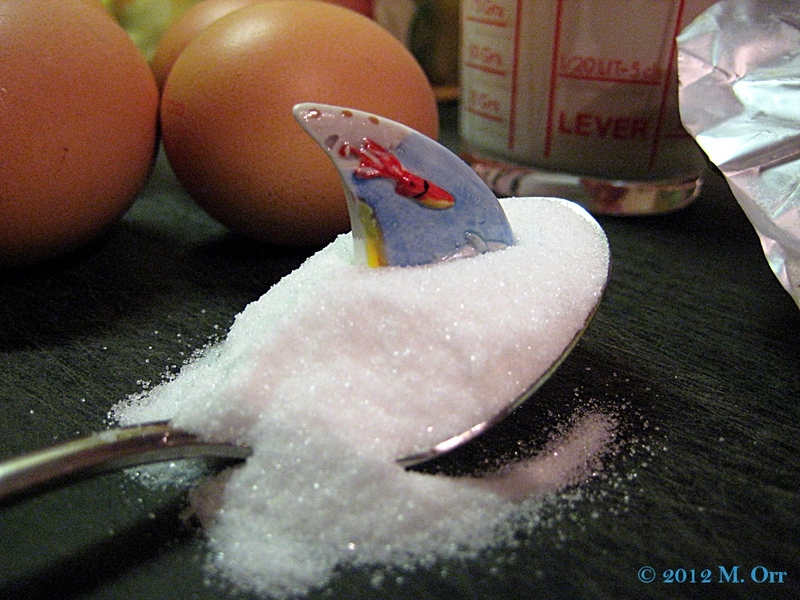 Add the ground almonds, the egg, the flour and the rum, and mix well until smooth. 3. Split the puff pastry into two and roll out both halves into circles of the same size (make sure that the circles aren’t too big to fit onto your baking tray). Spread one of the circles out onto the sheet of baking paper and prick it all over with a fork. Spread the frangipane over the disk of pastry up to 1cm from the edge. Push the fève into the frangipane (near the edge is best. It helps if you can remember where it is so that when you slice the galette, you don’t end up trying to cut through it – just make sure you’re not picking who gets which slice or that would be unfair!) Cover with the second pastry disk and pinch the edges of the two disks together, using a little bit of milk if necessary. 5. Bake in the oven for 40 mins. 5 mins before the end, lightly sprinkle some icing sugar over the top (using a tea strainer makes it much easier to control and even coverage), and return to the oven. Serve warm (the galette will deflate when you cut it).